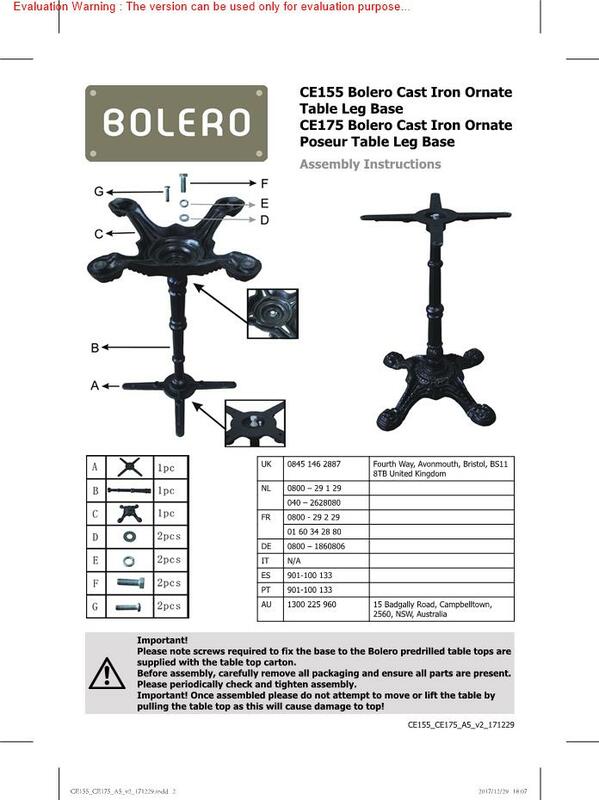 The cast iron Bolero table base measures 1080mm in height, making it suitable for bars, clubs and pubs where customers are encouraged to stand. The cast iron construction provides tables with stability, strength and durability, whilst the ornate design creates style and class. The base can be paired with any table top from our large range, allowing you to create custom dining tables to suit different decors and bar areas.